Hue is one of major tourist spots in the Central region of Vietnam because it’s a world’s cultural heritage. Foreign visitors love this place because of its peaceful and quiet environment. Girls are known for their charming ao dai and riding on bicycles. Above all, Hue’s food is such a sensation. 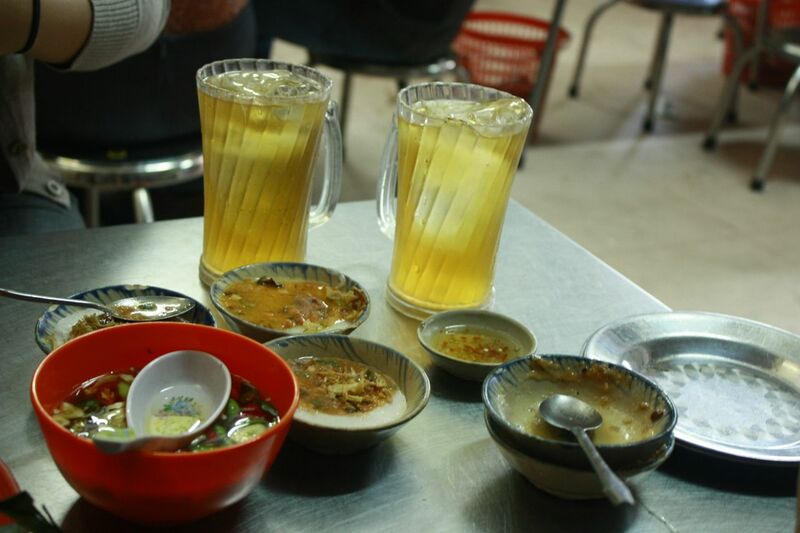 If you are into Vietnamese food, you may be able to recognize the taste difference of people in the Central, the North and the South. 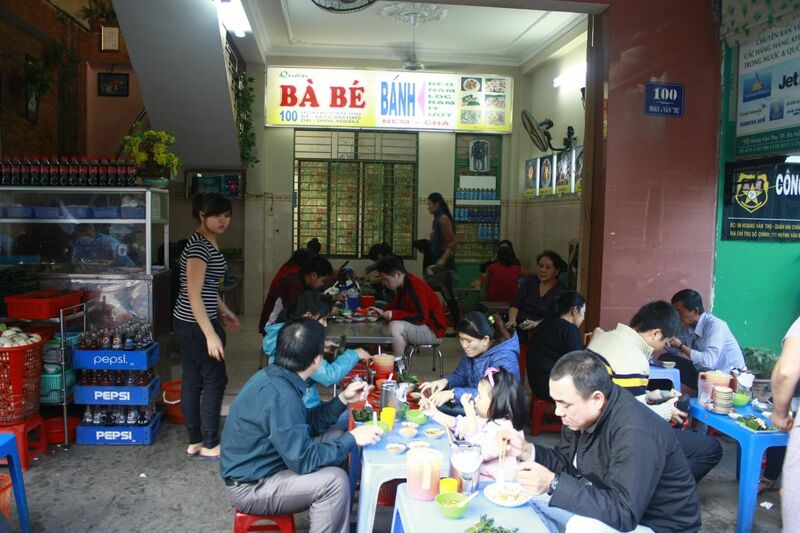 The Southern Vietnamese people prefer food with a sweeter taste, while the Northern food is a bit plain. Hue’s food or the Central Vietnamese food is known for being very tasty, salted and spicy. A lot of foreigner can’t stand that spicy flavor and easily get sick. However, once their stomachs get used to that taste, people love it. 1. 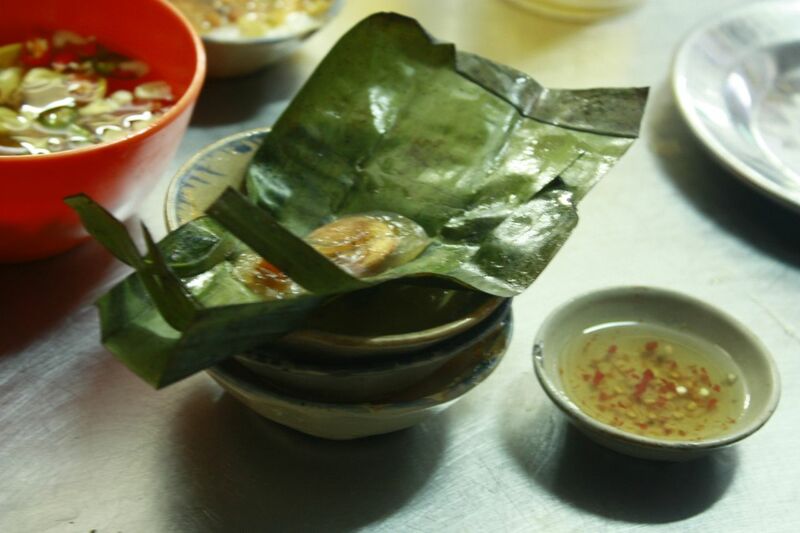 Bánh bèo (Bloating Fern-shaped cake): usually serves in small bowls, with the rice flour, shrimp paste, fried onion, and fish sauce. 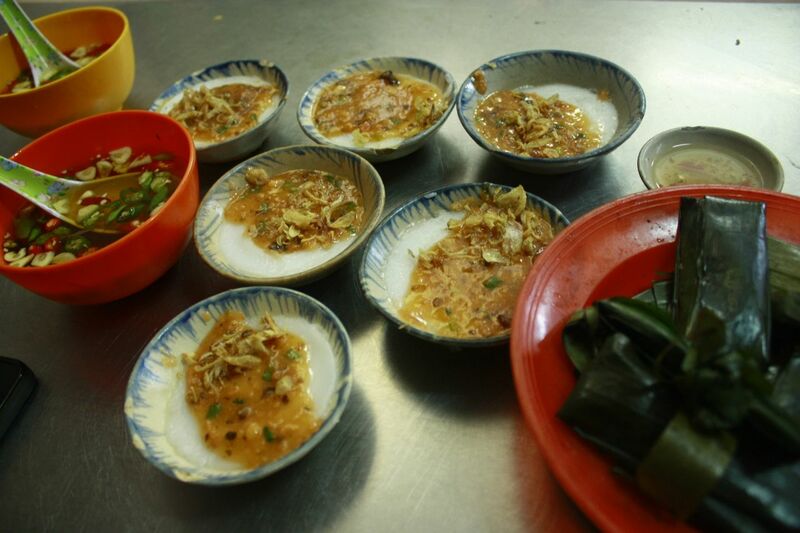 You may find other places serve the dry shrimp paste, unlike the one in the picture. It depends on what style you want. The fish sauce for Bánh bèo is quite sweet and not so salted. 2. 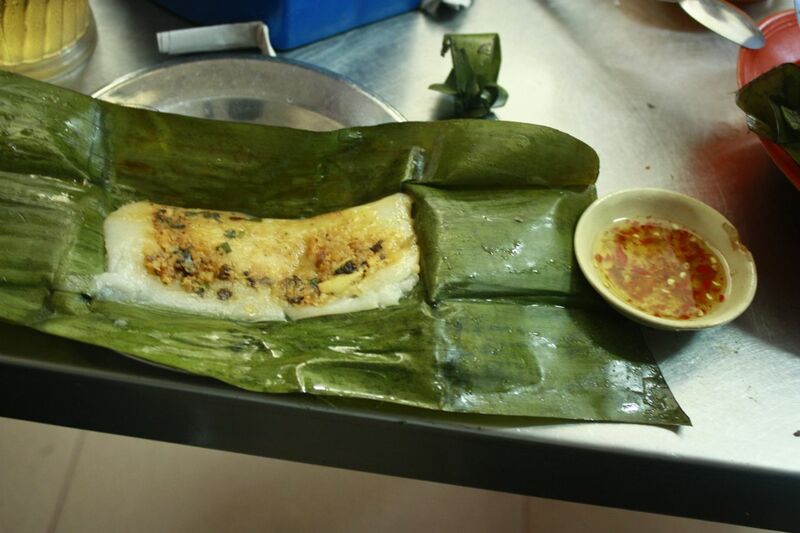 Bánh bột lọc (Rice dumpling cake): At the bottom right corner of the above photo is what Bánh bột lọc traditionally looks like. It is covered with banana leaf. In each cake, there is a piece of shrimp and ground pork. The fish sauce goes with Bánh bột lọc is different from Bánh bèo. It is saltier, therefore, it is served in a very small plate. How to eat it? You peel the leaf, dip the cake with a sauce, then put it in your mouth… Yummy!!! How about the drink? In order to get the authentic experience, I recommend you to drink with iced green tea. The taste isn’t sweet at all (If you know what I’m talking about, Asian people are crazy about bubble tea! ), quite plain but really refreshing your mouth. Some places provide iced green tea for free, but sometimes you have to pay a very little for it.